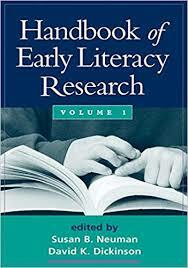 This is a research paper on early literacy in education. The classroom reading center will be created and set up for optimum teaching of reading. Custom introduction to literacy research papers are Paper Masters specialty. The thesis statement and topic you see here is just a SAMPLE research paper of what we can provide you in research. How do you decide when emergent reading should be transitioned to conventional reading? How can you create writing and reading centers that promote development of skills appropriate to the different skills represented in your classroom? How can you use the writing and reading behaviors checklists as a tool in your classroom? How can you identify some of the best alphabet books or alphabet computer programs to use with your students? How does your text suggest that drama activities can easily be incorporated as aspects of emergent writing and reading activities? What are the benefits of incorporating literature into creative arts activities? What are the elements that most books for young children should have? How can you create a classroom environment that offers rich literature experiences and opportunities for children? Research shows that early literacy and language skills develop in the first three years of a child’s life. The stories and experiences that a child is exposed to in those three years dictates that child’s literacy and brain development. Children should already have language skills before they enter into any type of formal education. Children learn literacy, both written and verbal, through interactions with others and real life experiences. Formal education requires students to read words correctly and use adult like reading comprehension and decoding strategies. In early literacy this approach has been proven to not be developmentally appropriate for younger children. In fact it is actually damaging to children who often feel inadequate reading. This damage can cause children to begin forming feelings about reading that are negative. These negative feelings can stay with children for years or their entire life. Early literacy should help create behaviors within children. Some of these behaviors are: holding a book appropriately and understanding of the pictures and story. In order to cultivate early literacy children should start being exposed to books as infants. Books that have large pictures, bright colors, and different textures are appealing to children under six months of age. Infant language development up to one year still uses books that include large pictures of familiar objects. Toddlers like books with a few words on a page, colorful pictures, animals, rhymes, and repetition. Older toddlers gravitate toward simple stories, rhyming text, and recognizable characters from television. Early Childhood Education - Early childhood education is formal schooling for children who are classified as early childhood. Effective Teaching Methods - One effective teaching method is the traditional method of assigning reading material (like Shakespeare's Hamlet) and giving a multiple choice test to assess it. Language Development in Infants research papers discuss language development in an infant as early as being in the womb. Instructional Strategies for Reading research papers examine strategies to help students learn how to read. Critical Literacy research papers discuss the use of enabling students to interpret not just the meaning of written words, but also the “underlying messages” in a phrase. Teaching with Technology - Not only are teachers faced with finding time to re-educate themselves to teach with computers, they are also faced with the challenge of learning new software. Lesson Plan using Brown Bear Brown Bear Research Papers preview a sample paper order placed for a lesson plan, and explain the format of the lesson plan. Paper Masters writes custom research papers on Early Literacy and other Early Childhood Topics.